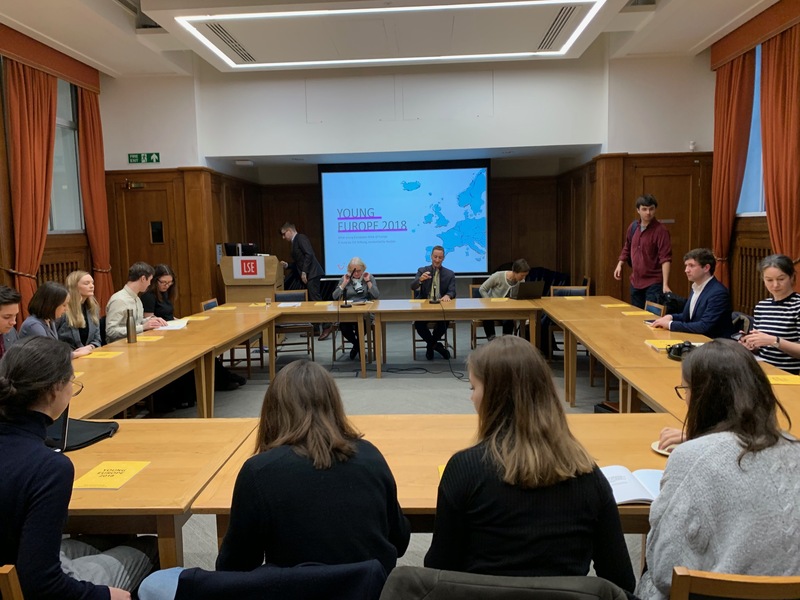 Dialogue with academics and students of the London School of Economics and Political Science (LSE). In order to gain a better understanding of the lives, environment, identities and attitudes of young Europeans towards Europe, TUI Foundation had conducted a survey among young people (aged 16 to 26 years) in seven European countries in 2017 and 2018, carried out on its behalf by pollster YouGov. The results of this Youth Study were presented to the public in May 2018. 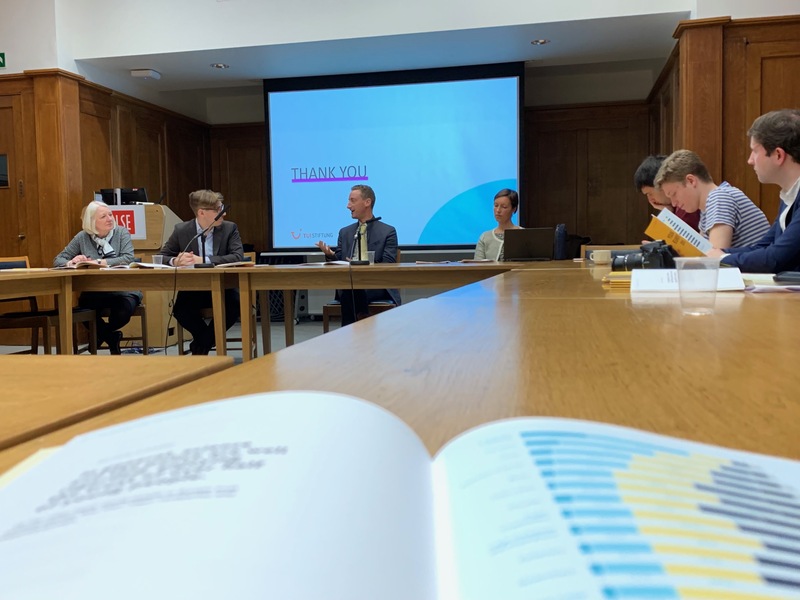 This week, TUI Foundation presented the results at the prestigious LSE and discussed them with academics and students. 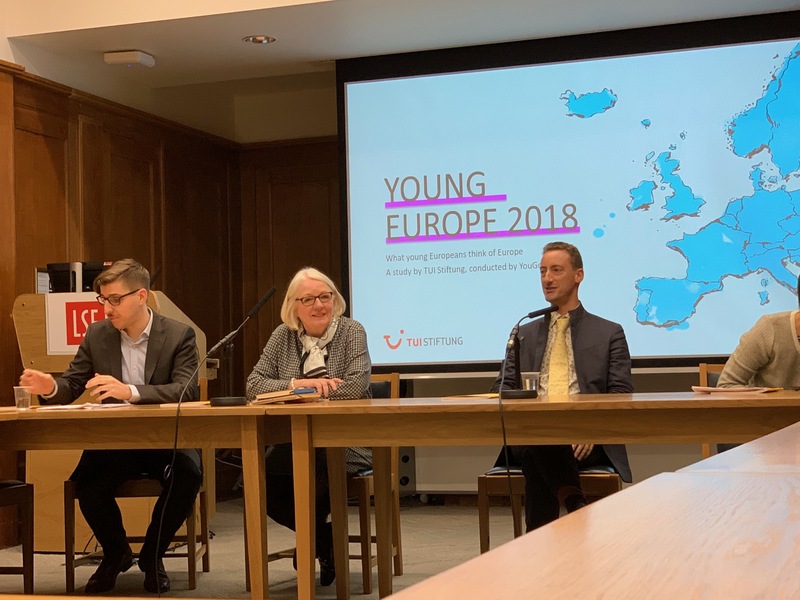 Dr Elke Hlawatschek, Managing Director of TUI Foundation, thanked Michael Bruter, Professor for Political Science and European Politics at the LSE, for the opportunity to extend in-depth discussions of the results of the Youth Study to the UK. Marcus Spittler of the Berlin Social Science Centre (WZB) had provided scientific support for TUI Foundation’s work on the Youth Study. He presented the key results to the participants of the discussion held in London. He encouraged the students taking part to use the results for their own work. 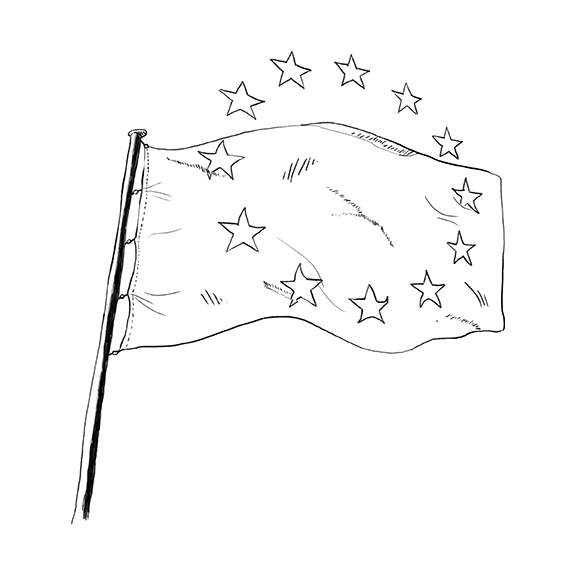 To that end, the results of the survey will soon be made available for scientific work on a portal of the WZB. 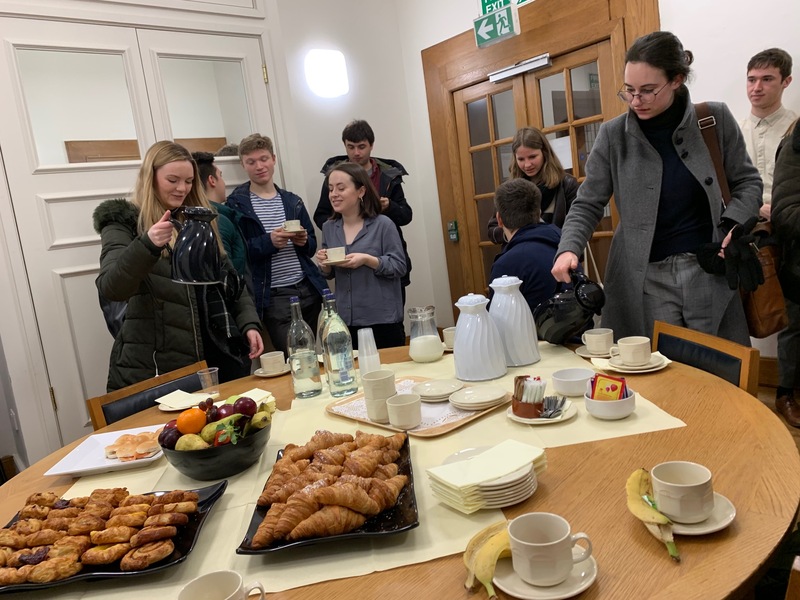 Marcus Spittler then engaged in dialogue with Professor Michael Bruter, Dr. Sarah Harrison, Associate Professorial Research Fellow at LSE’s Department of Government, and the students. The debate showed that numerous issues covered in the survey were related to the work performed by Michael Bruter and Sarah Harrison. The participants engaged in a lively debate about young people’s attitudes towards Europe, the factors shaping them, the effects of the economic and financial crisis on young people’s perception of Europe, and the reasons why young people’s European identity is less abstract than that of their parents and grand-parents. The discussion kicked off a series of events launched by TUI Foundation in order to enter into dialogue with various stakeholders in the countries involved in the Youth Study. Further discussion rounds will be held in other countries in order to gain an even better understanding of young people’s views of Europe and make their voices heard. The 2019 Youth Study is currently being prepared. Its results will be published ahead of the European elections.